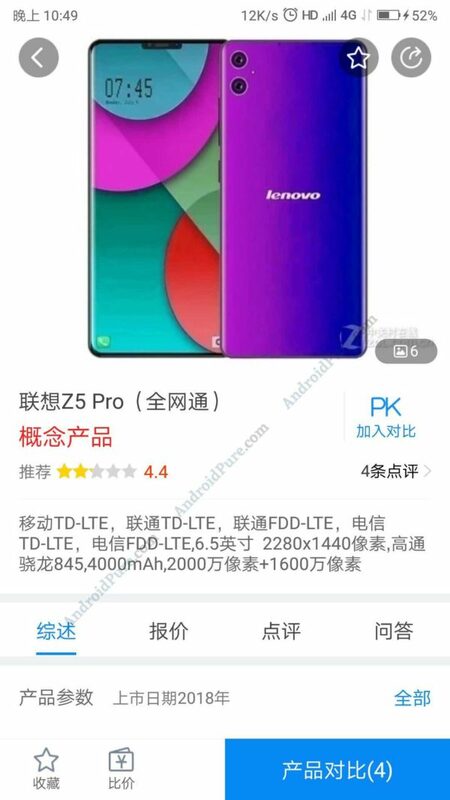 Rumours of a flagship variant of much-hyped Lenovo Z5 (which turned out to be more of hype than substance) has been doing rounds on the web as Lenovo Z5 Pro which started after company’s vice president shared a small video on Weibo showcasing an unannounced Lenovo smartphone with thin bezels, small chin and pop-up cameras similar to Opp Find X. But after Lenovo Z5 fiasco, we are not going to believe till we see the final product launched officially. An alleged hands-on video also surfaced later which indicate a slider type of smartphone where you can slide the full screen just as we used to do with some features phones a few years back. Xiaomi Mi Mix 3 and Honor Magic 2 are expected to follow the same concept. 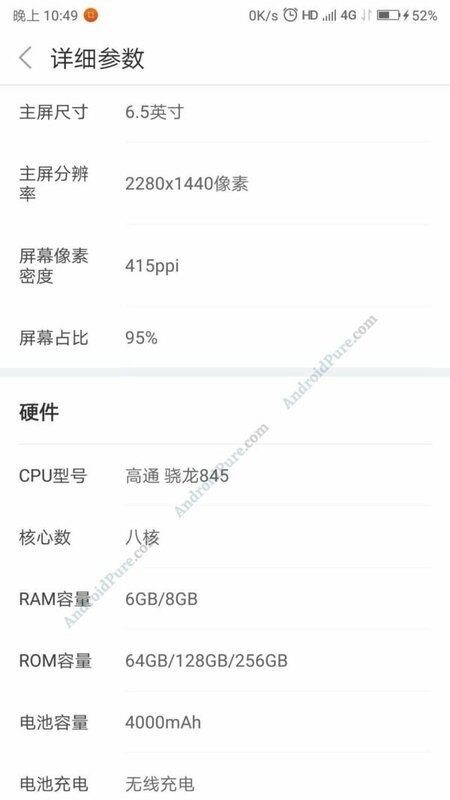 Today, a new leak has surfaced which indicate that this device may be the Lenovo Z5 Pro with high-end/premium hardware featuring Qualcomm Snapdragon 845. 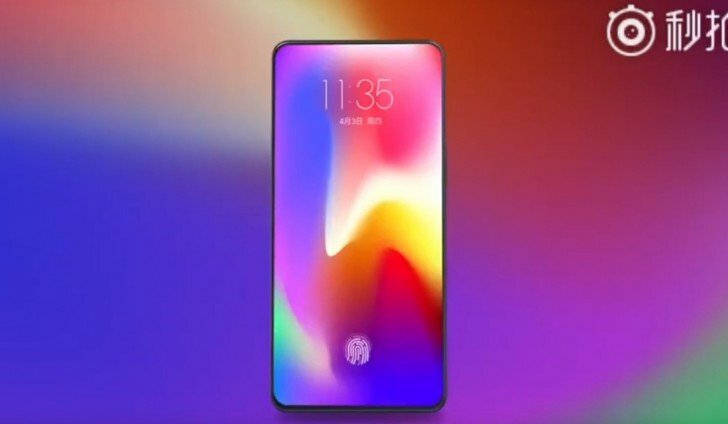 The leak also showcases an alleged Lenovo Z5 Pro render which reveal thin bezels, small chin and a notch at top of the display but we assume that it may be a concept or fan-based render. Even if it’s not a fan based render, we would wait for some more credible leak to form our opinion. The leak also reveals the basic hardware specifications of the device. As per this leak, Lenovo Z5 Pro sports a 6.5″ inch display with a resolution of 2280 X 1440 pixels which is very odd resolution with an aspect ratio of 19:14 which looks absurd and hence may be wrong. It indicates a screen to body ratio of 95%. The phone is powered by Qualcomm Snapdragon 845 along with 6GB / 8GB of RAM and 64GB / 128GB / 256GB internal storage. It features a dual camera module with 20MP + 16MP camera sensors. It is backed by a 4,000 mAh battery. As with any other leak, take this with a pinch of salt. Stay tuned at Androidpure and we will keep you updated.